Issana Press is a publications and research company formed in 1990. The focus of our work involves Ancient History, Philosophy & Religion. ISSANA PRESS, P.O. 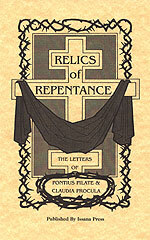 Box 42305, Urbandale, Iowa 50323-0985.
believed to have been written by Claudia Procula, the wife of Pontius Pilate. Claudia and adopted her as his own daughter. 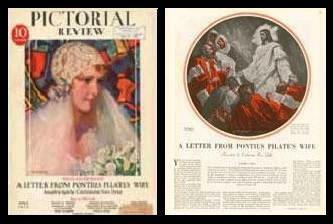 under the title "A Letter from Pontius Pilate's Wife". the Court assembled at Versailles. Jesus washing the feet of His Disciples. prior to her fateful last journey to Tsarskoe Selo. after the crucifixion of Jesus of Nazareth? named after the Roman Procurator Pontius Pilate? What was the content of Claudia's dream in (Matthew 27:19)? Why did he seek to release him (John 18:38-40 & 19:4-12)? Greek Orthodox Church (Commemorated-October 27th)? Ethiopian (Abyssinian) Church (Commemorated-June 25th)? 1st century letter attributed to Claudia Procula. add an additional $3.00 S&H for a total price of $17.